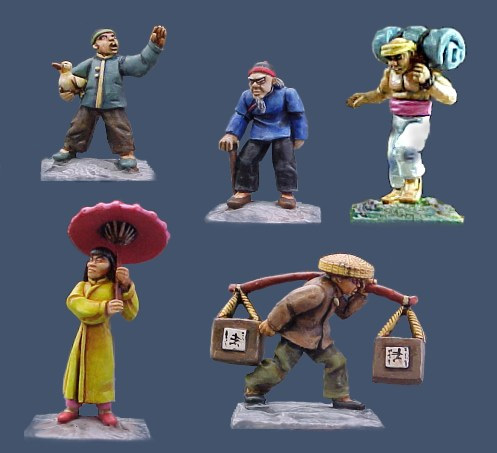 I want to add more 28mm Chinese miniatures after the past proposal for adequate pieces to play with A Fistful of Kung Fu, published by Osprey this February. Around there are some beautiful minis that maybe you don’t know. Let’s start with NorthStar again. For their In His Majesty Name, always by Osprey, a tong is ready to be adapted to our game. In the world of pulp fiction some exotic stories are setted in the far Orient. 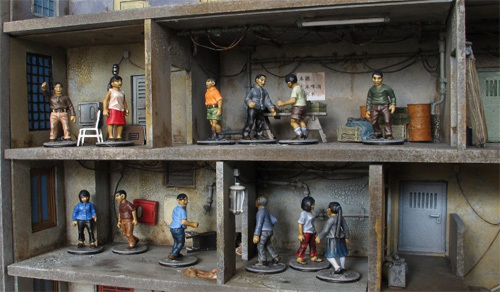 Pulp Figures produce YangZee Gangs, with henchmen, masters of evil and city life. 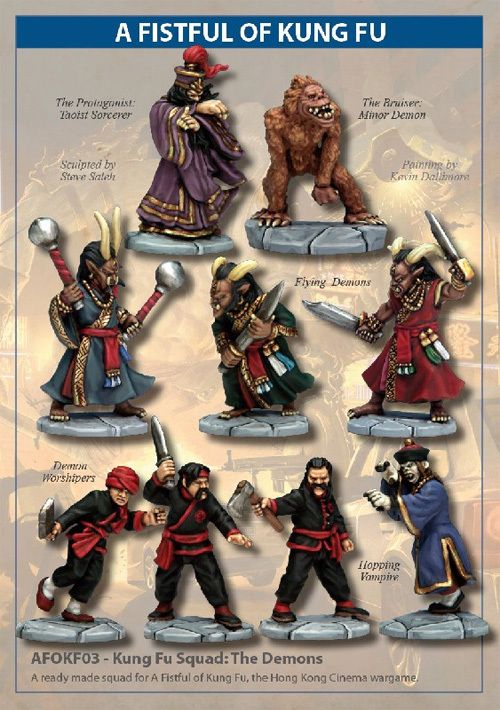 A range by Hasslefree Miniatures is dedicated to Chinese and Japanese martial arts, ancient and contemporary, with some incursions in fantasy. Who needs a gun when his fists and kicks are weapons? 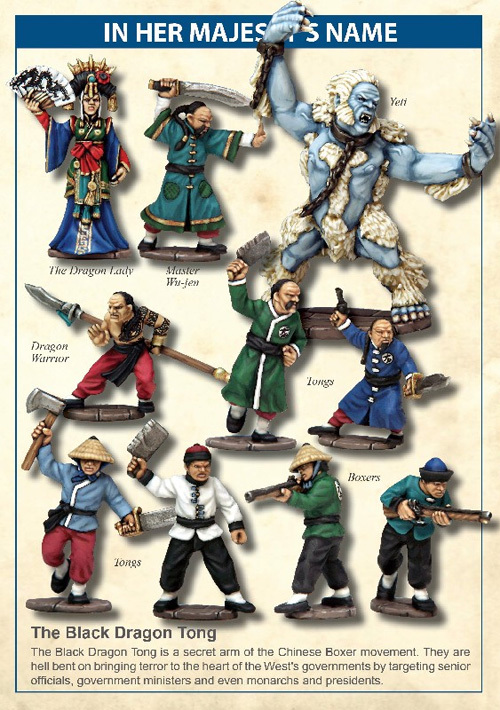 More traditional are these Chinese pirates by Eureka Miniatures, useful to add hordes of yelling warriors to your wargaming table. 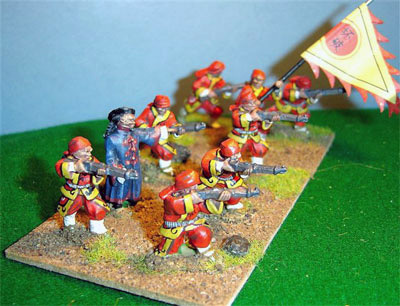 A good source for Chinese miniatures is the Boxer Rebellion. 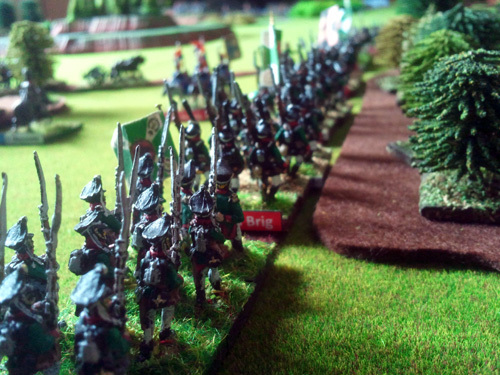 Traditional, exotic and pseudo-military dresses, and the use of guns, swords and lances are ideal to create particular armies. These are part of the Redoubt Enterprises range. 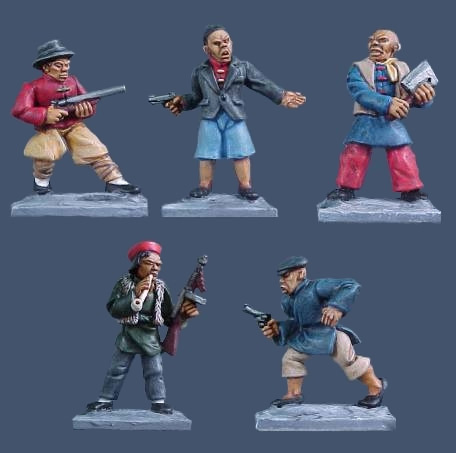 If you want bags of figures of the Boxer Rebellion can buy tons of lead by Old Glory Miniatures UK. 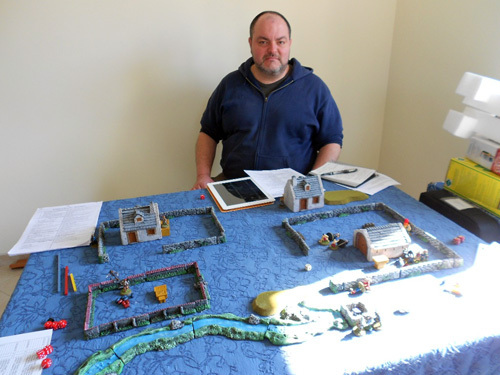 So you have the rules and you can have even a large choice for your miniatures. The only thing to do is to buy what you need and start to play. A Fistful of Kung Fu is out! Available by Osprey publishing in paper and digital format. 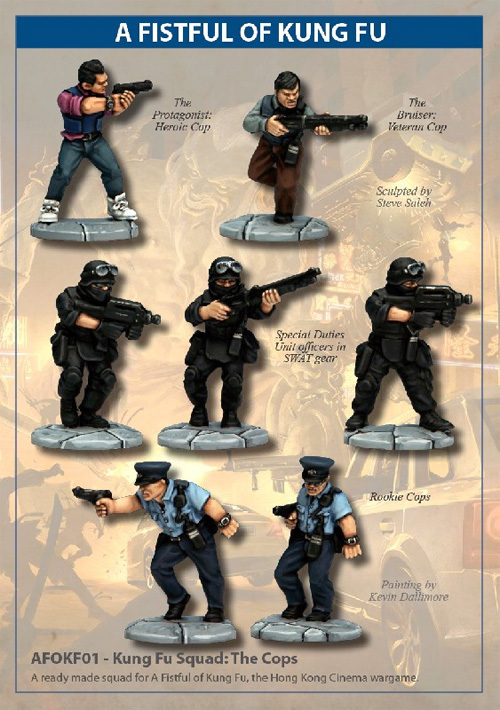 To play with adequate miniatures you can choose the official new range by Northstar miniatures! Here a gallery of all the 4 ready to play squads. 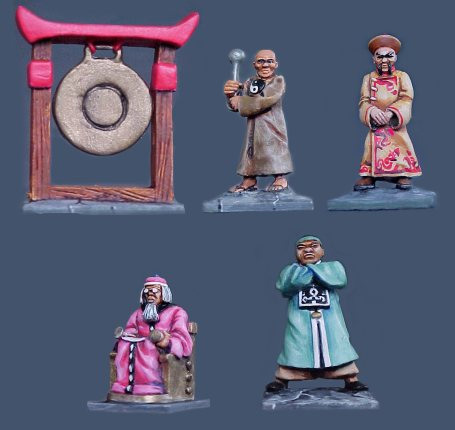 Black Hat miniatures, manufactures a full range of wuxia miniatures as wizards, zombie, phantasms, evil followers, dragons, human monkeys, warriors and so on! I cannot put here all the figures, they are a range with lots of sets. 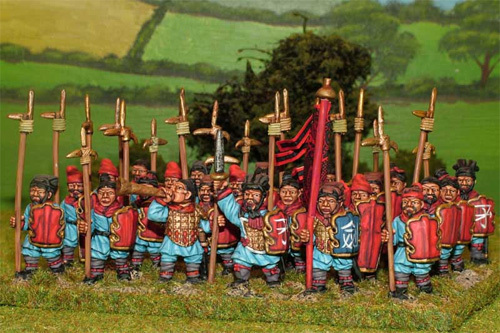 For Ancient China, and lots of suitable henchmen, peruse the ranges made by Curteys miniatures. Various historical periods of the ancient China are available. Do you want an huge crowd of modern Chinese civilians? And modern Hong Kong buildings? 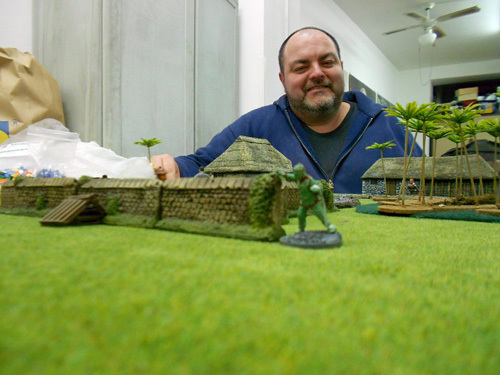 Pardulon makes 3 different sets with a total of 12 figures in civilian clothes. And modern fixtures building structures as doors, windows, drainpipes or air-conditioning units. 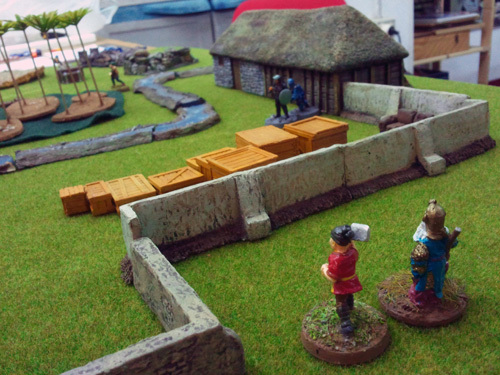 Ancient buildings in resin and MDF are available by various vendors. Look around for them. And play with A Fistful of Kung Fu! 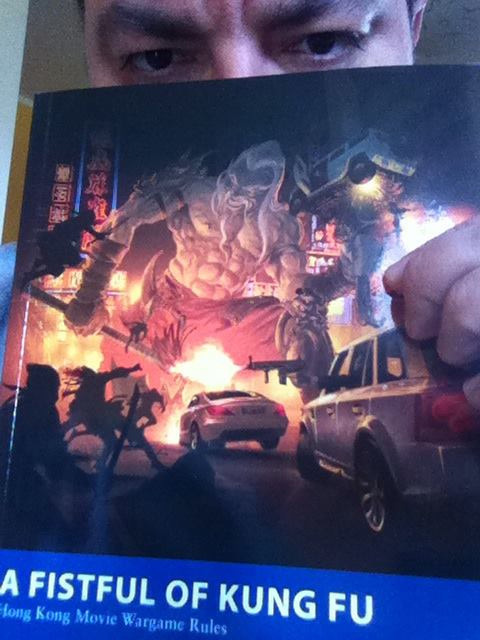 Tomorrow is the release day for A Fistful of Kung Fu. 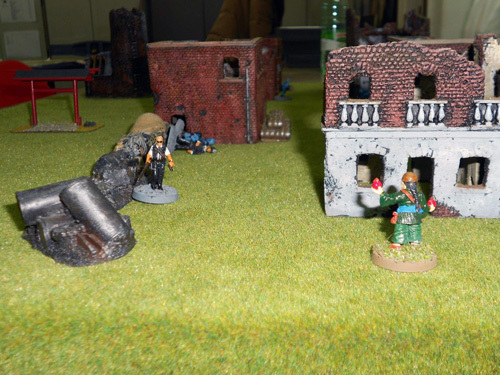 More photos from a playtest session. 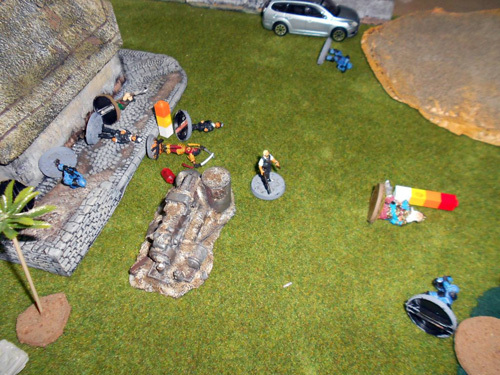 At that time I was trying to create thematic squads to kill my enemies, but in vain because misfortune struck my dice rolling. We tweaked the rules but I lost 4 games that day! We were in the ARSM headquarters. 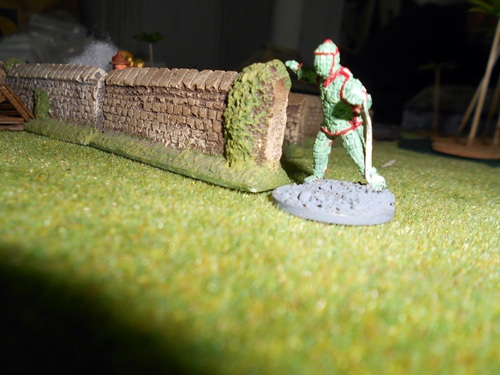 And this one is my jade mummy, moving slowly towards enemies. Too slowly, damn! Years ago I saw a real jade mummy in an exhibit in Rome. Very impressive. You can recreate scenes from action movies like Enter the Dragon, Kill Bill, Big Trouble in Little China, Crouching Tiger – Hidden Dragon, and Hard Boiled. 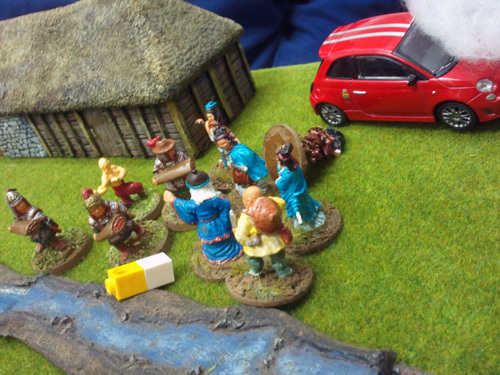 Here we try a mixture of ancient China tales and HK police stories. As the Osprey blurb says, “A Fistful of Kung Fu is set in a modern world walking a precarious line between the advances of next-generation technology and the tradition and mysticism of ancient cultures. 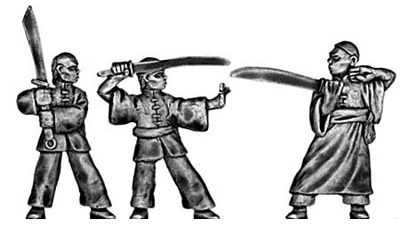 Kung Fu schools face off in no-holds barred martial arts tournaments. Evil corporations hire hitmen and infiltrators to steal each other’s secrets. Overworked SWAT teams respond to street-level gunfights between feuding Triad and Yakuza clans. Ancient artefacts are sought by hopping vampires and cyborgs alike, each seeking to harness the power of the Four Dragon Kings and control the world. Bullets, punches, kicks and throwing stars fly in slow motion as martial arts heroes and gun-wielding cops defeat enemy after enemy in the pursuit of evil masterminds”. 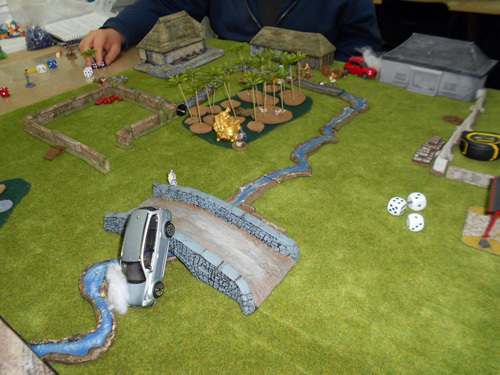 In this game we created a scenario with a small bamboo grove. Characters can walk over them, use them as trampolines or as weapons. 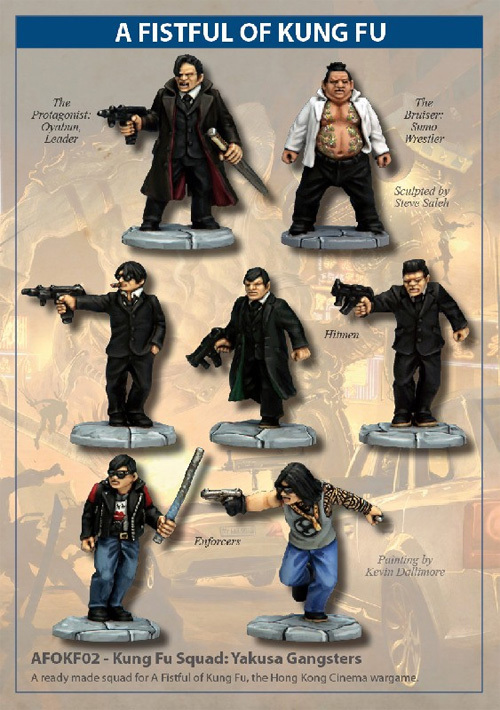 Possible factions range from Chinese Triads, Japanese Yakuza to Ninja clans, martial arts schools, the men and women of the Hong Kong Police Department, demons, secret societies and almost anything else you can imagine! All struggle for supremacy – destroying the surroundings in the process. Here the final struggle among our two rival groups. I didn’t score severe wounds to my opponents. Oh at least I tried. 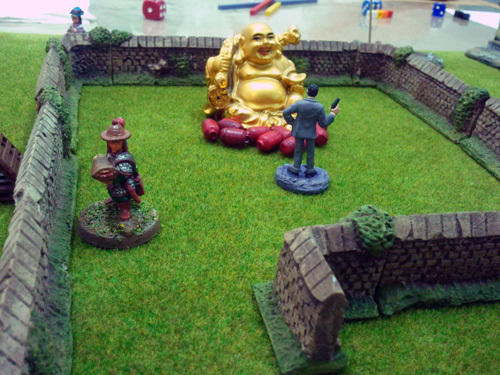 Another game and another setting: more storeys for our houses and a venerated Buddha statue (bought on the same day in a local Chinese trinkets shop…) with an ancient treasure at its feet. 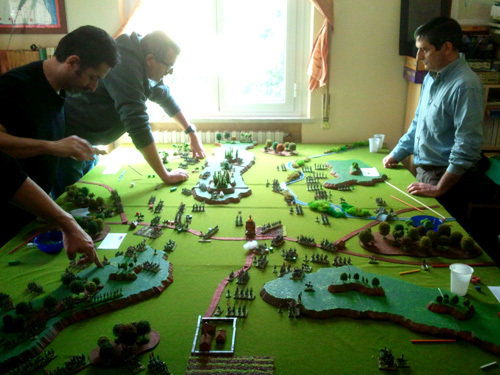 When we develop a game we never have the right miniatures or appropriate terrain. We use what we find because we have too many projects and we don’t have the time to build a pretty scenery. When we publish something we are just in the middle of another new project and another new setting. So no Chinese houses or modern urban hells but some ruined buildings instead. In A Fistful of Kung Fu, mooks and supporting cast are swatted like flies, but can still be dangerous when given the advantage of numbers or automatic weaponry. 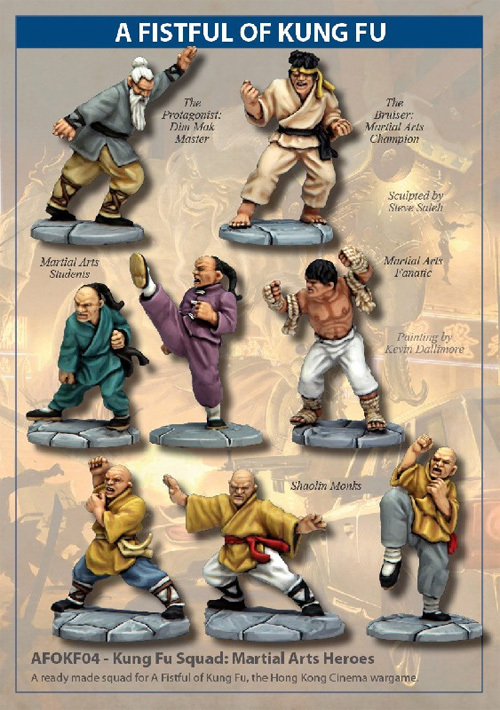 Based on the popular Ganesha Games rules system, these rules introduce martial arts combat with manoeuvres that have different outcomes depending on the degree of success, and which allow for counter-attacks when they fail, giving a flowing, appropriate combat system. The game also includes rules for challenges and “gun-fu” stunts. And this hero cop moves forward to glory with his automatic weapons. A pile of corpse after his passage. At the end of the day the cops won the fight. 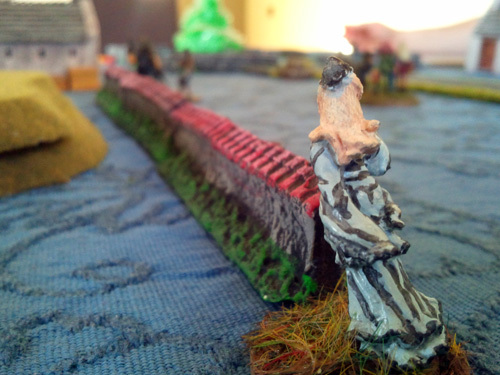 Only the hero still standing on the battle scene. Just like the style of an HK film. Only two days to the official release of A Fistful of Kung Fu. So let’s go on with the countdown. 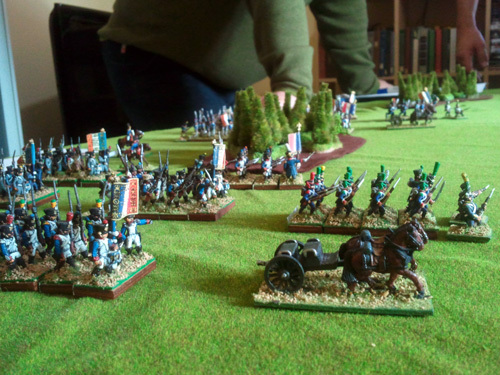 Here are some more photos of our playtests. Here we are in Diego’s house on the kitchen table. And on blue ground! Here a scenario with ghosts, sorcerers, and corporate thugs. 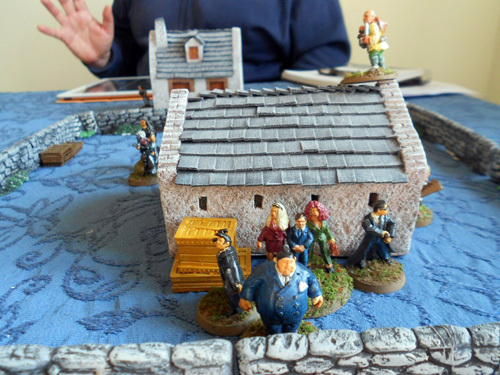 While bodyguards defend the clan chief, a walk on the roof prepares a rear assault. 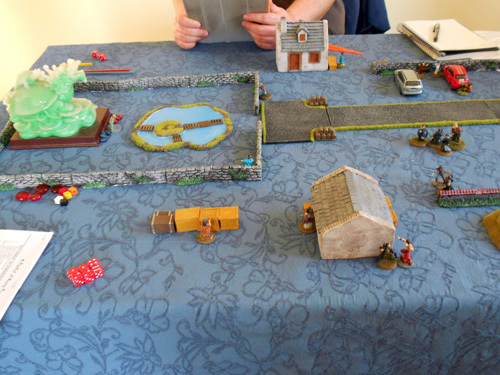 The miniatures are from my collection built before we imagined we would play this setting. Now official figures are sold by Northstar. I’m still happy with mine. 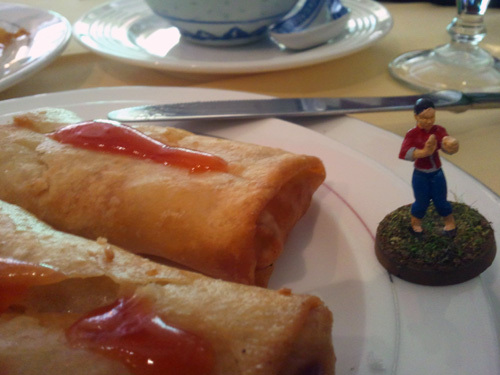 I guess the message is, just buy miniatures, sooner or later you will find what to do with them! Although it’s been more than a week that Northstar began to mail the copies of A Fistful of Kung Fu to customers, the official release date is the 18th of this month. 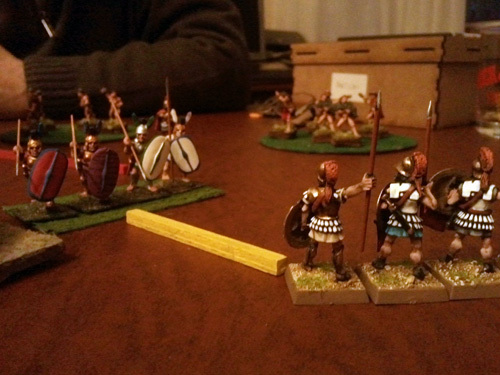 Now I start a short countdown showing some photos about the playtest sessions happened more than a year ago. 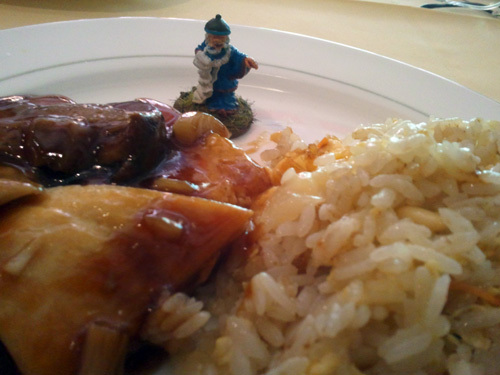 This time an adventure among Chinese restaurant dishes. 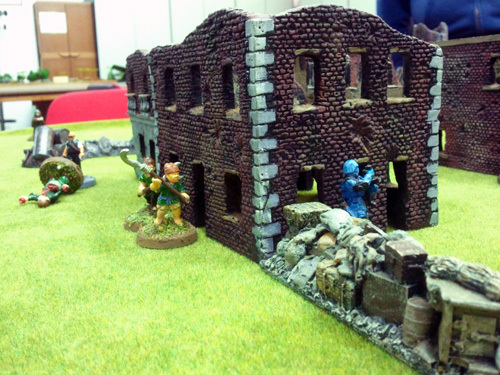 It was occurred in a pause of a more canonic playtest with miniatures and terrain. 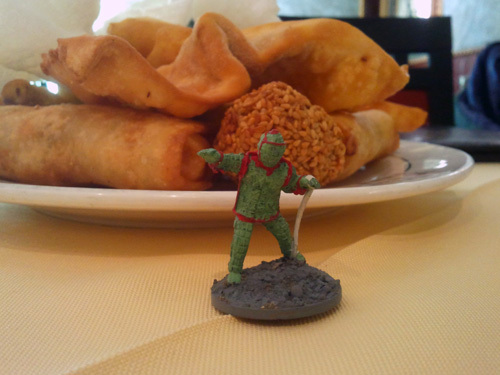 Playing a Kung Fu ruleset, what could be better than eating Chinese? Unfortunately a form of food poisoning emerged from this playtest session. A specific ingredient used in this restaurant (maybe a preservative?) sends my immune system into haywire. My body was covered with a rash and an extreme itch impeded my normal activities. I needed more than a week, and lots of medication, to restore my skin to normality. 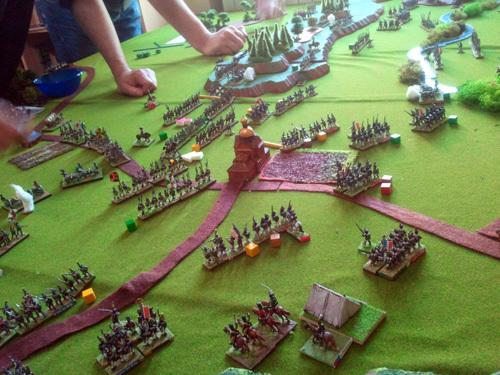 The past Saturday we met for a full day of playtesting. We are working on new projects for 2016 by Ganesha Games. At the moment we are still on the verification of the basic mechanics. So we talked a lot of what we think is the best for them and played a couple of games. On other things we are in more advanced phases. The publication of these rules is sometime only a matter of time and organisation for Andrea. We reminded of Song of Spear and Shield, so we play a speed battle with it. We don’t know if it is ready or if it needs something other. In the meantime I’m working on Ferrum et Gloria. I playtested some things for the second book but I have to complete the editing of the first!!! In February I want to complete the first book. Yes, it is late by a couple of years, but I think that every time I can put my efforts on it, it is better. Carry on… ! I was waiting this event for a couple of years. I thought that, for an important anniversary as the landing on Anzio and Nettuno beaches, great things could be done. Instead, at the noon of the day before, I was informed about the dismiss of the participation of our representative group of the national army paratroopers association. Various problems with the organiser of the Anzio event (another one were held in the neighbour Nettuno) made we thought about boycott or clear malpractice. I went privately only the Sunday to watch the two events. 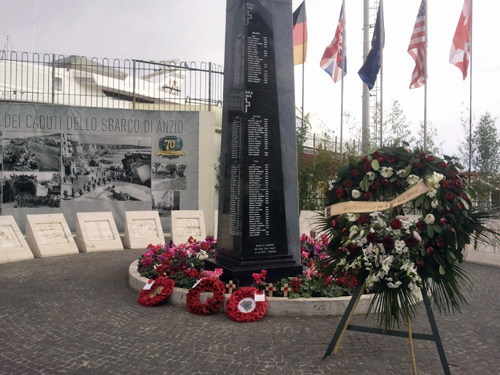 This is the new monument in Anzio. 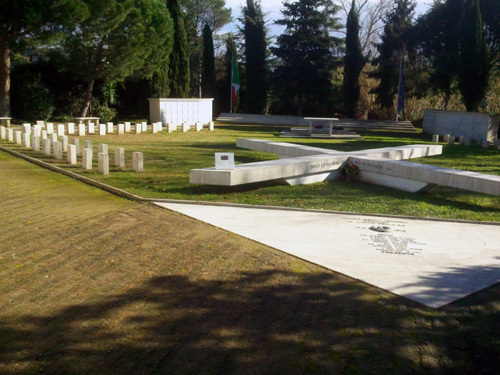 The war cemetery for Italian Army soldiers that fought against Allies on this front. The X shape is for the X° MAS, one of the Italian combat groups. Some objects in a museum. 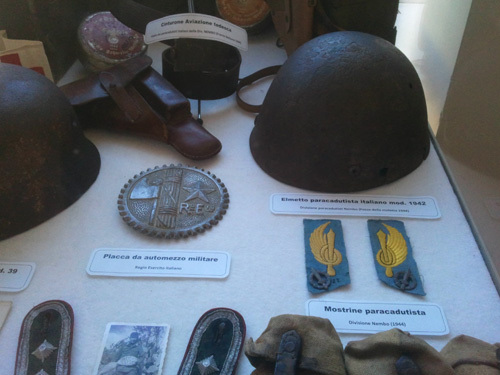 On the right some items from Italian paratroopers on this front. 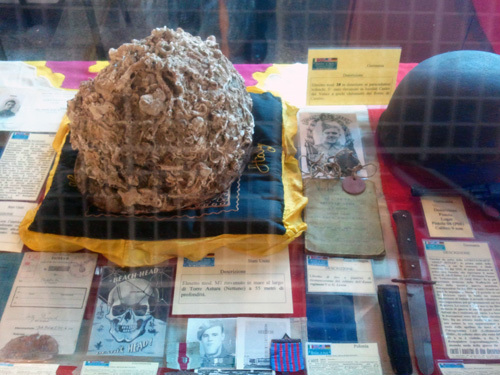 An helmet with shells from years in the sea. 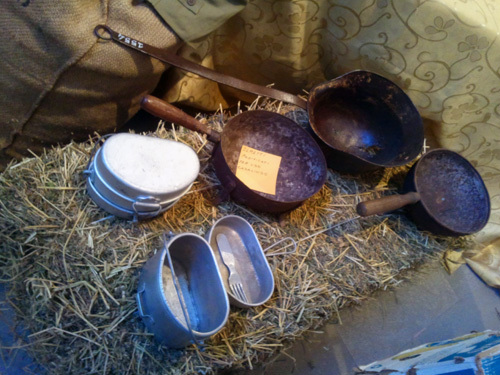 A pan made with a German helmet. 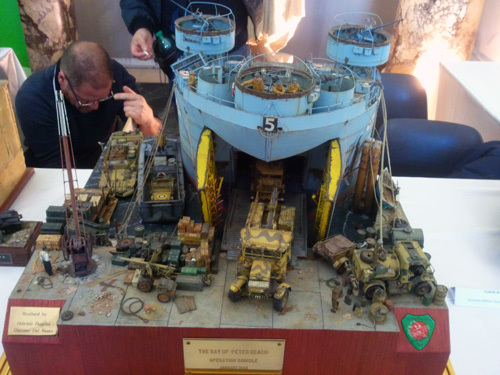 An absolute great diorama on the Anzio harbour. 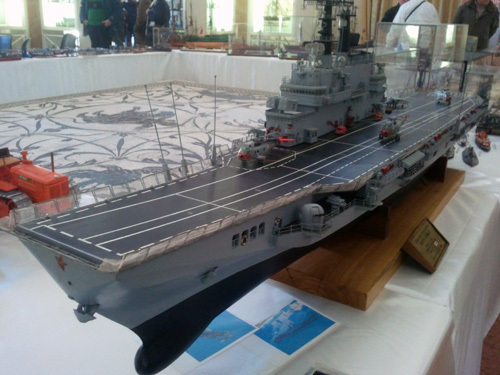 The Italian Garibaldi aircraft carrier. 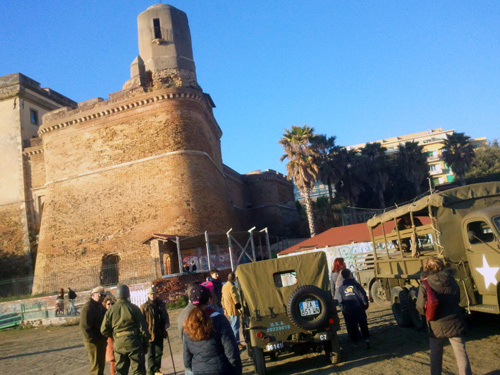 Part of Forte San Gallo on the beach in Nettuno. 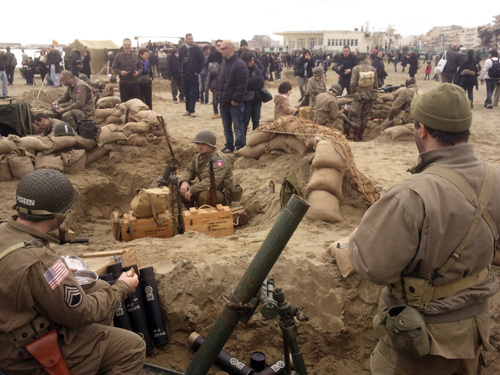 Some reeneactors as American soldiers in Anzio. 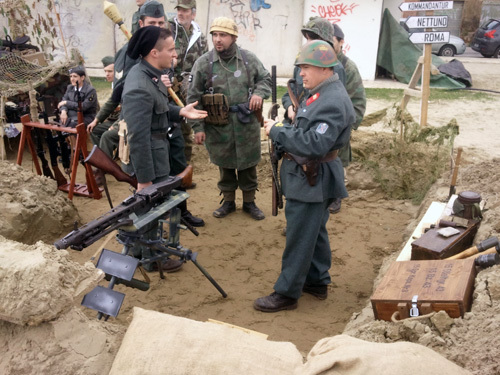 Some reenactors as Germans and Italians in Anzio. Some were not so believable and with wrong uniforms.